We all know about Essence and it’s big sister Catrice cosmetics, right? Well, now the same group launched L.O.V Cosmetics, an even more sophisticated sister, in selected Dis-Chem stores as well as online at takealot.com. I got to play with a few of their goodies at the launch and found their prices on par with more upscale drugstore brands like L’Oreal and Bourjois. Despite being connected to cheap and cheerful Essence (which I love and adore), you’ll see the quality is vastly improved, specifically in the packaging department. Ready to fall in L.O.V? In fact, the Loviconyx eyeshadow and contouring palette (R299,95) is seriously lustable and totally deserves a proper look. Gorgeous, right?! I love that the case comes with a big mirror too. Just toss that brush and get thee a MAC 217 or Sigma E25. This quartet is called A Walk on the Beach with Marilyn. There are two others available – one’s all about smoke (think gunmetal and black satin) and the other’s more champagne and violet. 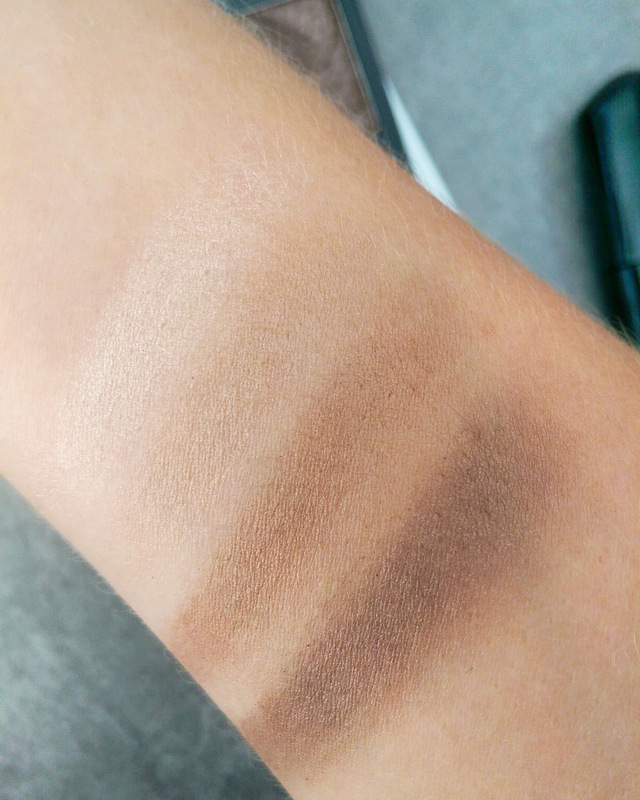 I loved that each shade stroked on beautifully, were totally buildable and blend like a boss. Something else that really impressed me was their Lovlicious Caring Volume gloss (R125). The shade below is called Fuchsia but you can see it’s really more of a rosey pink. As far as the mascara goes, I was initially given one called The Forbidden Dramatic Volume mascara and we just couldn’t make friends. It had a weird ‘double ball’ shape that, I felt, didn’t do anything to enhance the application at all. If anything, it just made it awkward. I’m really glad I got to try another variant, however, GuiltEyes Fan Effect mascara (R215) as it’s awesome. Short li’l bristles perfectly spaced = yes please! The little plastic bristles are perfectly spaced (too wide apart is a pet hate of mine as you don’t ‘trap’ anything) so they catch each and every lash and coat them in a jet black formula. I don’t know if I’d called the effect a ‘fan’ one, although you can grab your corner lashes with ease. It’s more like a perfectly defined with zero clumps. This is personal favourite lash look so it definitely goes onto my list of good drugstore mascaras. I’m wearing all the shades from L.O.V’s A Walk on the Beach shadow palette in A Walk on the Beach with Marilyn on my lid and L.O.V GuiltEyes fan effect mascara on my lashes. Last, but not least, I appreciated the Perfectitude mattifying primer (R215). Wear it alone to instantly blur the look of pores and fine lines or under makeup for a lovely even application. I liked that the formula is super lightweight and runny, not stodgy, so it spreads out like a dream and doesn’t feel occlusive. Dolloped on the left, spread out on the right. Click on this pic to enlarge it and improve the quality. It’s hard to capture its effect on camera but trust me it’s very obvious, specially when it comes to pores. Now! Who’s feeling lucky? I’ve been given a hamper worth a whopping R2 500 to give away and, if you win my competition, it could end up winging its way to your door. Entering is easy. 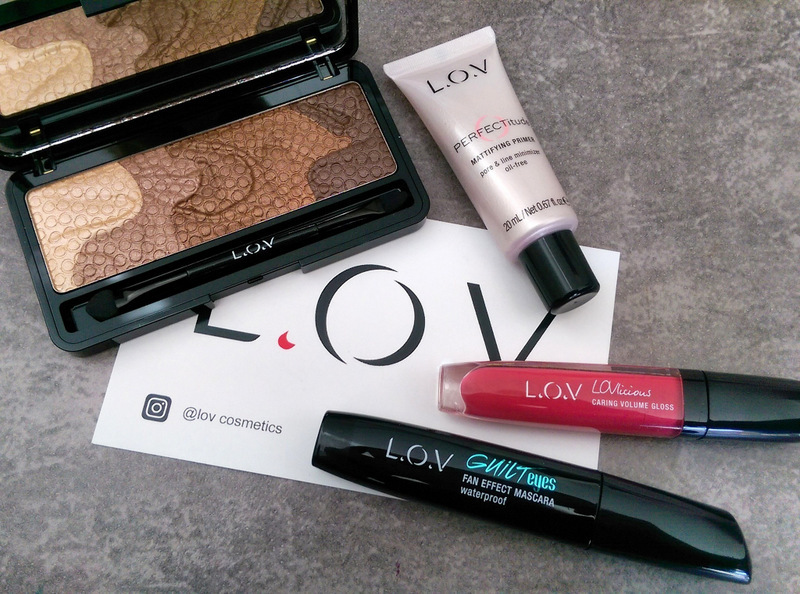 Simply leave a comment below telling me which of L.O.V Cosmetics’ products you’d most like to try. You can explore the range via their international site as well as their local FB page. This competition closes at 5pm on 1 March and is open to South African residents only. A winner will be drawn from both twitter or the comments section pool via a random number generator. I want to try the Perfectitude Mattifying Primer! I’d love to try the Loviconyx eyeshadow and contouring palette – especially as you say the packaging is better as I always find that the lids snap off my bronzer/eyeshadows after a bit of use and then they basically have to be thrown away :/. Thanks for another wonderful article! Pleasure! And I hear you! I love Essence but their shadow and blush cases always crack up in my makeup bag. I’ll never stop buying ‘cos the price is just too good so I don’t mind. But there’s no way that’ll happen with LOV. The casing quality could easily rival a brand like Lancome. Like seriously! Ooooh I LOVE new beauty products. I’d really like to try the A Walk on the Beach with Marilyn, looks amazing! I would love to try the GuiltEyes Fan Effect mascara. Looks awesome! I would love to try the Perfectitude mattifying primer. Looks amazing! I’ve been checking out L.O.V. in store lately and I really can’t wait to try their makeup brushes, they seem luxurious and amazing quality for the reasonable price. I would love to try the Perfectitude Mattifying primer! There are so many goodies I’d love to try – but I’m really into my foundations at the moment. I’d love to try the Serum Foundation for it’s gorgeous skincare+makeup combo, but I’m also after a long lasting foundation, so the 18h Long Lasting Foundation sounds great too! Fabulous article thankyou 🙂 also a fan of Essence, would like to try the GuiltEyes Fan Mascara you described. I would love to try Perfectitude and the Guilt eyes fan effect mascara! I am only starting to find an interest I. Make up now, late bloomer, so am keen to try all things new! Wow, this looks amazing. I am always on the look out for new and amazing makeup…The eyeshadow palette is what I am drawn to. I love the ethereal colours and the swirly design. 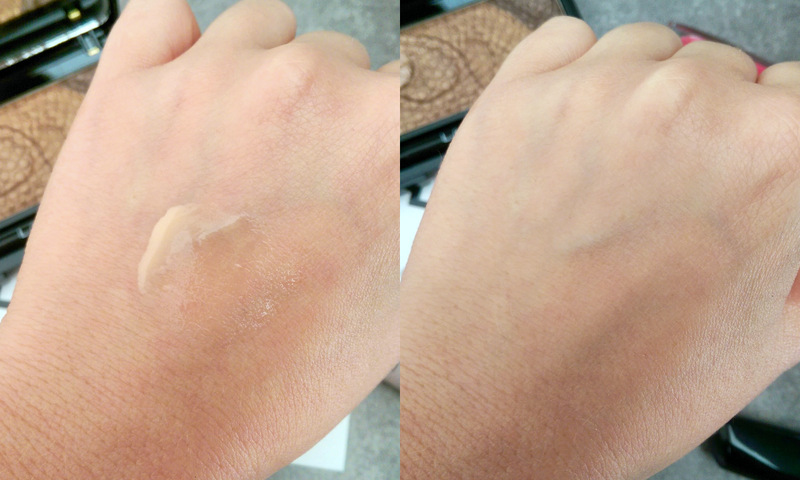 I would definitely loooove to try the undressed foundation. I have recently purchased the “Christina’s red” lippie and I totally love it!! Also their packaging is so gorgeous! The Perfectitude mattifying primer looks amazing. 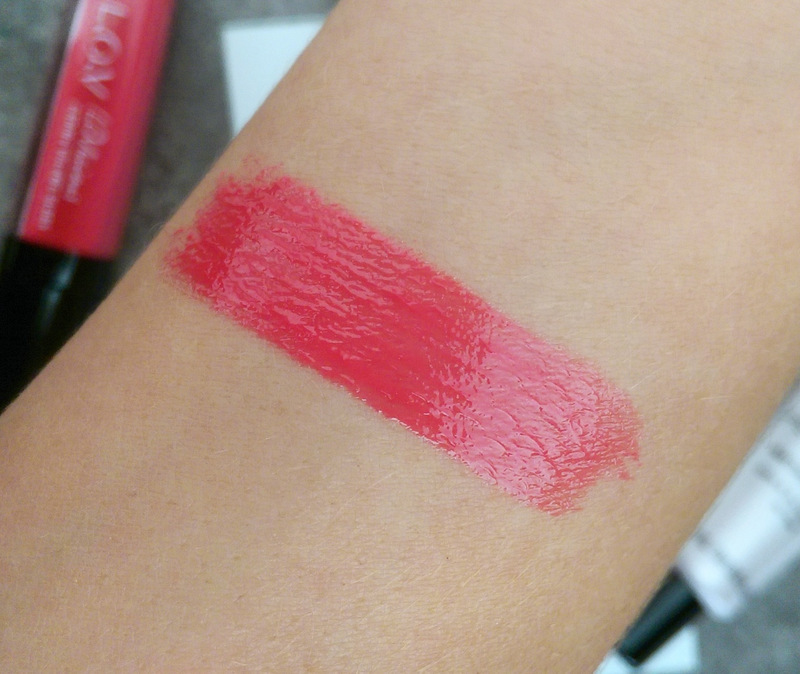 I cannot wait to get my hands on the L.O.V Lovful Shine And Care Lip Stylo. It looks easy to apply and the moisturising properties will hopefully make it feel lighter and be perfect for day use. Oe lots of stunning goodies! Love the eyeshadow and contouring palette – and also the lipglosses and the serum concealer! I’d love to try the GuiltEyes Fan Effect mascara you used in your post. I love a great mascara and your lashes look amazing with this one! Dying to try their makeup brushes, they feel so soft in store – wondering what they would be like for actual application! I looked in my make up bag this morning, which followed with a big sigh. I have not refreshed my make up in the last 2 years, and then I read this post. I love the eyeshadow and contouring palette, and I love the look of the mascara. 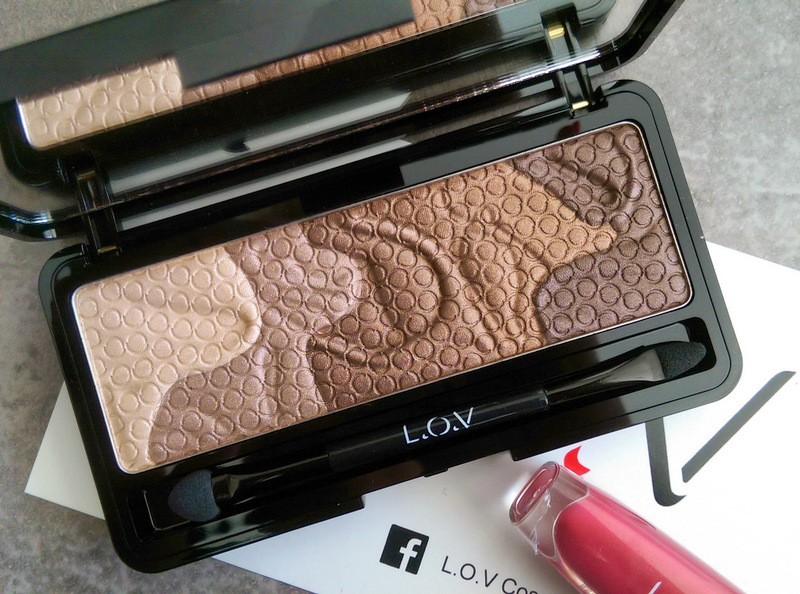 I’d love to up my eye game with Loviconyx eyeshadow and contouring palette. Actuall everything, since my make up products are a bit out dated! I wanna try the GuiltEyes Fan Effect mascara. I would love to win the Perfectitude mattifying primer. I had acne and it left scars and large pores on my face. This would help a lot to minimize the pores and also give me more confidence! I would like to try the Perfectitude Mattifying Primer. 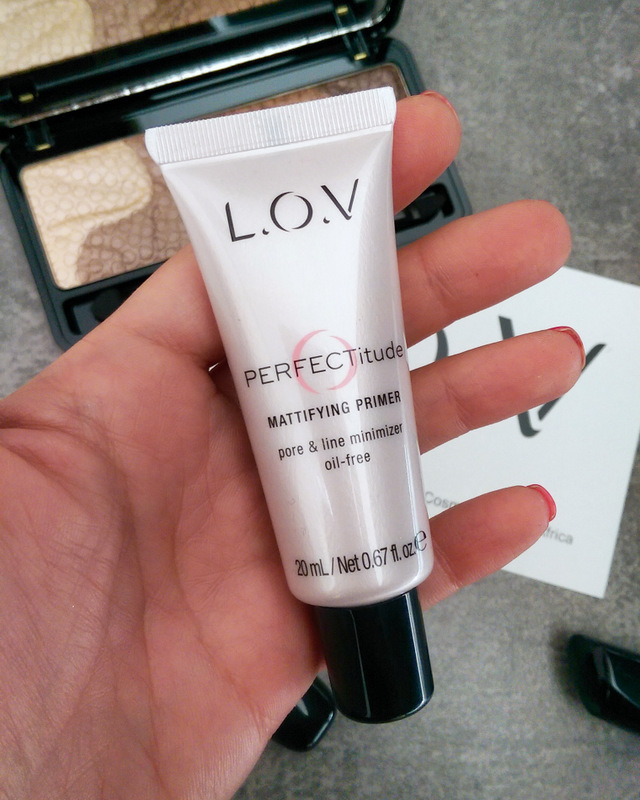 I want luv to try the Perfectitude Mattifying Primer! Saw the gloss in a YouTube video and I’ve been keen to try out this brand ever since. Waiting for this to come to SA for ages! I hope they include more comprehensive darker shade ranges than Catrice because the quality seems on point. Definitely the Perfectitude primer as I don’t have one (and have never even used one!) I do think it’s about time though and this looks like a fab one to try. Oooh! I want to try the rouge and the brush! Look beautiful. I am all about the eyes!! So I would L.O.V (get it???) to try any of their unexpected matte eyeshadows. The eyeshadow and contouring palette looks amazing I would love to try it out. Wow, this is just stunning, I love everything The Cosmetix Group sell! Congrats Carmen! You won that L.O.V Cosmetics hamper 🙂 Please mail me on leigh.a.vdb@gmail.com so I can get you your prize. Always a great write-up Leigh! I am a great fan of all of The Cosmetix Group’s Products, not only are they fabulous, but extremely affordable – which is awesome. I’ve used all various products from CatriceSA, essence_ZA and CaribbeanTan – would L.O.V. to win this amazing give-away of yours! I’d really L.O.V the Perfectitude Mattifying Primer, as a Psoriasis suffer I really need a great cover up product, and this sounds just like it! Leigh-Leigh, where do you get Sigma brushes? Is it available in SA? Hi hun! I don’t think so but you can buy them online from international sites like Beauty Bay. I think the Walk on the Beach palette and the Perfectitude Mattifying Primer look great from your haul and the 18h Lasting Foundation and the Glacious Stylo Eyeshadow from the range look very exciting. I have appreciated the the sheer volume of Essence products at the price point they offer and I love the Catrice All Matt Plus Make Up (I am oily and pale and it is so hard to find decent foundation that is my colour and won’t slip off my face), but the new L.O.V is something I am looking forward to if it compares well to Bourjois which is my favourite drugstore brand. Thanks for the amazing reviews! I want to try the Perfectitude Mattifying Primer! Am going to scout out Dischem now lol! The whole range looks really cool so can’t wait to see it in lewende lywe! 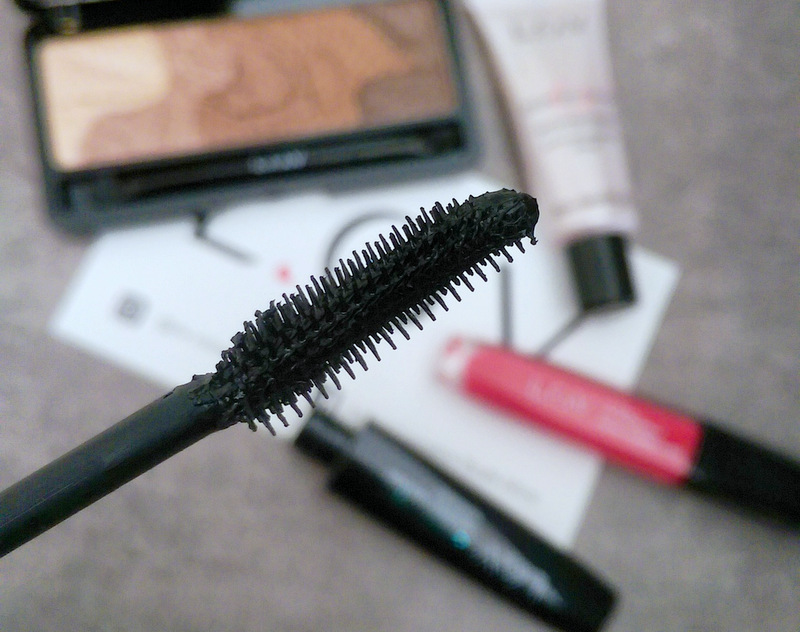 Those photos can’t be lying…so I definitely wanna try out the L.O.V GuiltEyes Fan Mascara. I would love to try the lovtime 18 HR long lasting foundation. I have heard many great things about it and it has spf which is a must for me 😍❤ I would also love to try the perfectitude mattifying primer for all day and shine free makeup wear at University. You had me at ‘A walk on the Beach with Marilyn’! These are such stunning products. There are so many great products to choose from but id really like to try the long lasting foundation. Holding thumbs, thanks for a great giveaway. I want to try the Perfectitude Mattifying Primer so badllllyyy!